These light weight factory white completely reversible PVC A-Boards come in two sizes, 23 1/2” x 23 1/2” and 31 5/16” x 23 1/2”. They are constructed from 6mm rigid PVC and are supplied to you completely assembled ready for your vinyl application. Also available in factory colors! Please note: colors may not be as they appear, contact howmac for product samples. 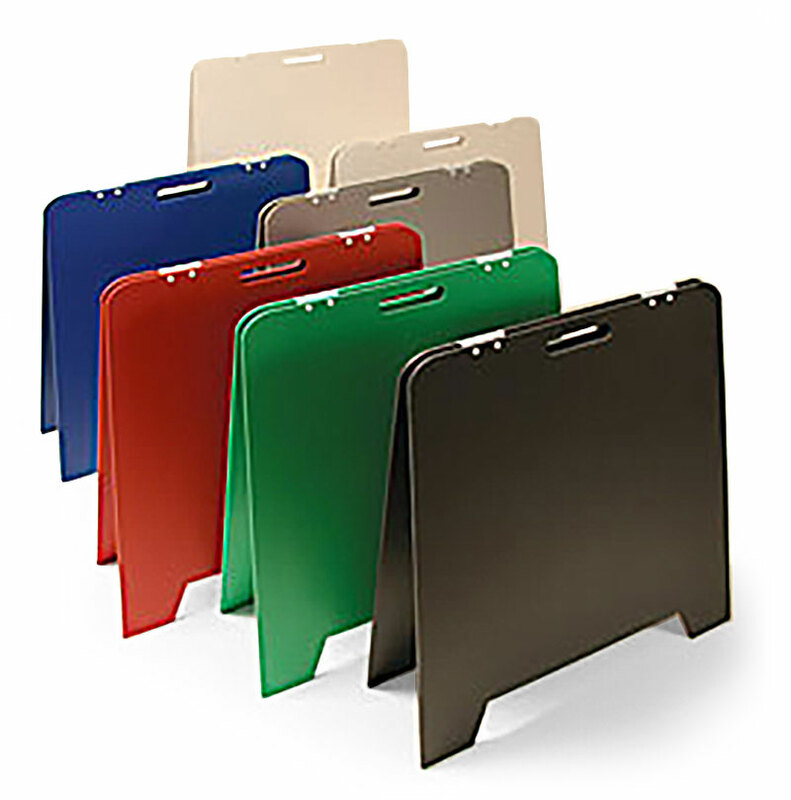 Howmac’s MDO A-Boards are 36” tall x 24” wide. CNC routed from 1/2 ” thick structural grade double sided MDO plywood, these durable and attractive A-boards include a carrying handle and are ready for vinyl graphics. Primed & painted with 5 year AKZO Chromatic sign white. Because primed MDO has the ability to breath, applying digital graphics is a breeze and bubbles can easily be worked out! Edges are primed twice and finished with a UV resistant T-molding. Rugged flexible hinges allow for firm footing on uneven ground and rubber feet keep the A-board sign from spreading or coming in contact with the ground. Our MDO A-Boards have a 5 year outdoor life expectancy.